We run 43 free community NHS hearing aid maintenance sessions across the county. 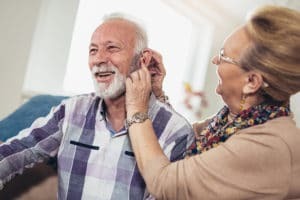 At these sessions we will clean and re-tube your NHS hearing aids, supply you with NHS hearing aid batteries, and offer information/advice about hearing loss. All you need to do is find out what days and times your local sessions run, and drop-in. You do not need to make an appointment. If you need your NHS hearing aids cleaned and re-tubed, and need new NHS batteries, you could drop-in to one of our 43 community Hearing Help sessions. Find out about the sessions nearest to you.